Podio is a simple and customizable project management software. It offers users with structured workflows and processes for improved team efficiency. In this article, we cover Podio reviews and pricing. Ready to get started? Sign up for free. 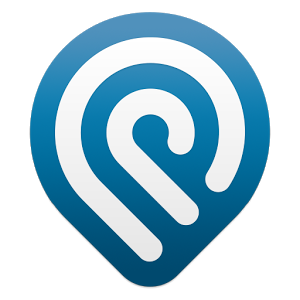 Users who gave Podio a positive review said that it is intuitive and easy to use. They like its customization functions, as well as the simple and organized interface. Great customer support was also cited. Users who gave Podio a negative review said that it is too basic and not recommended for complex tasks and projects. Some also complained about the occasional system glitches. Podio pricing offers a free option and three paid plans: Basic at $9 per month, Plus at $14 per month, and Premium at $24 per month. The main differences between the plans include the number of team members that can be enrolled in the system as well as access to premium features such as automated workflows and visual reports. *Annual plans are paid in full at the beginning of the billing cycle. The Free plan has a limit of five users. Paid plans can accommodate an unlimited number of users. A custom plan is also available for large teams. Interested users may get in touch with the sales team for the exact pricing information. Best For Businesses wanting customizable boards with kanban, timeline, calendar, and map project views All-in-one solution for project management as it can track hours, send invoices, record accounting, store client histories, and generate reports. Flexibility and ease of use. Easy to share projects, assign tasks, set deadlines, and track all progress. Ready to get started with Podio? Sign up for free. 6 Best Project Management Software for 2018: Project management software helps teams plan and manage projects from start to finish. We looked at a variety of solutions and narrowed it down to the top six, based on price, features, and customer support. How Does Podio Help Users Streamline Their Project Management Tasks? 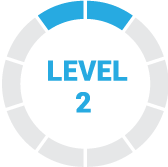 Podio has a systematic and structured workflow function that enables users to manage their tasks by marking each progress stage. As soon as a user moves the task to the next stage, the program will notify the person responsible automatically in accomplishing the next step of the task. In Which Platforms or Channels Can Users Access Podio? Users can access their Podio accounts via a web browser or through its mobile app in their smartphones using iOS and Android. Have you read these Podio reviews and are still not sure if it’s the right fit for you? Read our reviews of all top project management software. We have been using Podium for some time and many things of this program we like, their tools are always very accurate and technical support answers in a short time. We have not had any problems with Podium yet, we have not experienced any failures, nor do we have elements that we dislike or unpleasant. Since we started using Podio we have not stopped using it because it has not yet shown any inconvenience for employees or the company and is the one we like the most in the market. It is useful. It does not hang up and has many excellent and well-organized functionalities. Its graphic section is easy to identify, since it is simple and it is not confusing. This application is not useful for large businesses or very large work teams. It does not have a balanced design that allows easy handling when working. This software is one of the most indicated in the Market of the business organization. Our group likes its design and its elegant presentation very much. It is slow and inadequate to handle different types of businesses. Big improvements are needed in your personalization and profile creation tabs. It’s a bit old-fashioned. It would have been nice to know that Podio has as many pros as cons. It is intelligent and accurate but small and with few functions. In any case, it is recommended for tasks of low complexity. What's the Best Project Mgmt. Software?